So, I've gotten a lot of requests lately for date night ideas. My top 50 list has lots of ideas of things you can do but here are some hand-picked date night ideas geared toward the older crowd! Take an evening ride through the beautiful Hill Country. 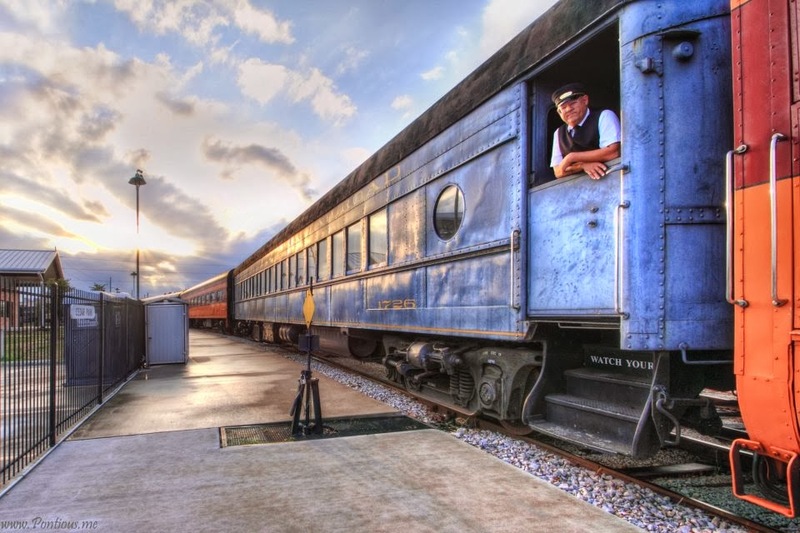 The Austin Steam Train has rides that leave almost every weekend from Cedar Park. Check out the schedule as they sometimes have specialty rides as well. The Wine Flyer includes a 3 hour trip to Bertram, a great selection of wines server with a variety of treats. Another great date night would be to ride on the Mystery Flyer. Who do you think the murderer is? This ride includes entertainment, box dinner, and wine or beer. Rather than just going out to dinner at a restaurant, why don't you learn how to make the meal as well! I have been to cooking classes at both Central Market and Whole Foods, and they are both fun. My experience is that Central Market is more of a "sit back and watch us cook while you enjoy the wine", while Whole Foods actually has you make your own food while you enjoy the wine! Whether you are looking for a more hands on approach, or just a different sort of evening, this is a great place to have some good food, good conversation and learn something too! South Congress, especially on a Thursday night, is a really fun place to just wander around. There are lots of great restaurants to enjoy, whether you are looking for great pizza at Home Slice, gourmet burgers at HopDaddy or some really good Japanese food at the Lucky Robot. After you eat, stroll the unique shops along South Congress. Try on some costumes at Lucy in Disguise, pick out a hat at Goorin Bros, look at the loot at Uncommon Items or Tesoras Trading Company. Finish off with a root beer float from Big Top Candy shop. This shop will have all of the forgotten edible treasures from your youth! If you are the creative type, or sometime even more entertaining -- if you're not, there are a lot of different places in town to create some fun. I still had a fabulous time! You are provided with everything you need to create your own version of a pre-selected painting, along with an instructor to show you how! Bring your own drinks along to make a painting and evening you won't forget! These are two different studios that will walk you through making a ceramic item. For the evening crowd, the items move from gnomes and little ponies to beer steins and margarita glasses. Bring your own drinks. Take a class in bead making, glass blowing or marble making. Fun with fire! Austin now has its very own drive in movie. How cool is that? Calling themselves a "mini-urban" drive in, they have 45 spots, located in downtown Austin. The Blue Starlite concentrates on indie films, art house, cult, Gen X/Y, childhood favorites, and drive-in classics. Cars need to show up 30 minutes before the show starts. Concessions are available, including a smores kit, complete with small fire! I must admit, here is one I haven't made it too. But it does sound like a fun and different evening. On your first night, select your grapes and flavors then make your own wine. Sample the house wine while you bottle your own. Two months later, come back and taste it! I have known a couple of people who have gone here, with different wine results. Some thought their wine the best ever, others... eh. But everyone I know who has gone has had a really good time! Someone suggested I add this one so I went online to check them out. I have not been here yet, but looking on the web page, it looks like a lot of fun for golfers and non-golfers alike! A chance to enjoy some good food and drinks while trying to hit targets with a ball and club! Antonelli's Tasting Room overlooks Duval Street and seats up to four guests for a cheese tasting guided by one of our experienced Cheesemongers. Set in a private room boasting two walls of floor-to-ceiling windows, you’ll enjoy a one-of-a- kind tour of artisanal cheese, charcuterie, accompaniments, bread and other delicious bites. Dripping Springs Wine Trail has eight wineries to choose from just 40 minutes from downtown Austin. If you are planning this date, be safe and try a guided tour (ie no driving). There are lots of different options. Prices range around $150 - $200 per person depending on the length of the tour. Discover Texas Wine Tours takes you around in an H2 Hummer or a 70″ Stretch Limousine. Tours include a half or full day and include 9 full wineries, an olive company and two brew pubs. Vintage Wine Tours takes you around in a 1971 VW bus :o) Slowpokes has a Model T Or Mercedes Sprinter Van. Deer Run Tours also have half and full day options and include 3 wine tastings along with snacks water and soda. However you go, you are sure to have a fun, relaxing and memorable day! 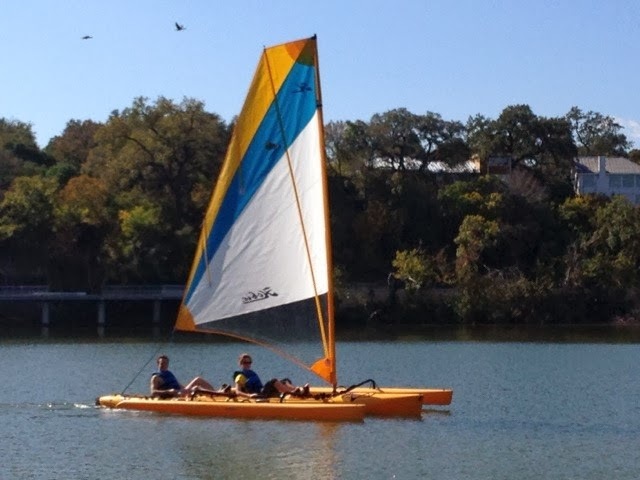 If you are looking for a fun time outside, rent a canoe or sailboat for a couple of hours. Head up or down to either of the dams, or check out some of the more private side coves. Yes i am totally agreed with article and i want to say that this article is very nice and very informative article.